Kalka River. A small river, 88 km long and draining a basin of 1,260 sq km, that flows into the Kalmiius River in the Azov steppe. Today it is called the Kalchyk or Kalets River (map: Kalchyk River). It was the site of the first battle between the armies of the princes of southern Rus’ and the invading Mongol-Tatar hordes of Genghis Khan. 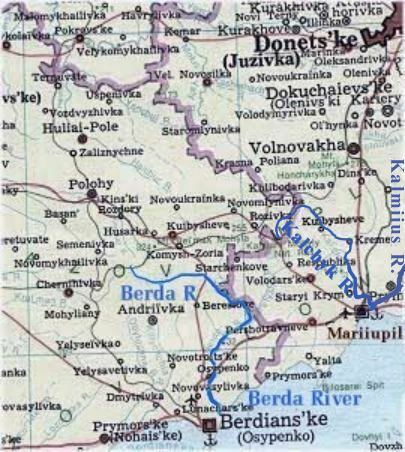 Because of lack of leadership and the plight of their Cuman allies, the Kyivan Rus’ forces were routed on the banks of the river in 1223 after a three-day battle. After the battle the Mongols ravaged the southern frontier of Kyivan Rus’ before returning to the Volga region.